Blepharoplasty, more commonly called eyelid surgery, is designed to rejuvenate the appearance of the eyelids by smoothing sagging skin, removing pockets of fat, and tightening any lax tissues that could be contributing to drooping eyelids. While some people choose to undergo eyelid surgery for cosmetic reasons, men and women with severely sagging upper eyelids may experience vision impairment as a result. In these cases, our plastic surgeon, Dr. Andrew T. Cohen, can use eyelid surgery to restore the patient’s full field of vision. 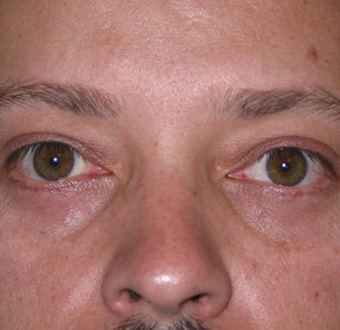 The procedure can be performed on the upper eyelids, lower eyelids, or both, depending upon the unique needs of the patient. Am I Candidate for Eyelid Surgery? Ideal candidates for blepharoplasty are in good overall health and maintain realistic expectations regarding the outcome of the procedure. Most candidates for eyelid surgery are at least 35 years old, though younger women and men may still have the procedure performed. The best way to determine your candidacy for eyelid surgery is to schedule a consultation with an experienced plastic surgeon. 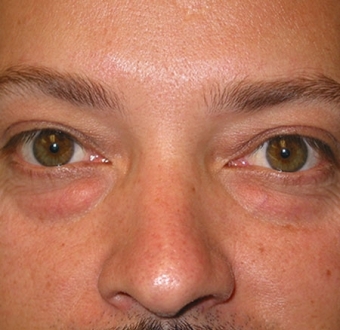 Dr. Cohen customizes each eyelid surgery to suit the unique needs of the individual. For upper eyelid surgery, an incision is made along the natural crease of the eyelids. The underlying tissues can then be tightened and sculpted before any excess skin is removed. 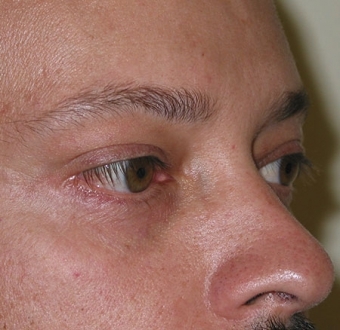 During lower eyelid surgery, an incision is carefully placed directly below the lash line. Excess fat is removed and/or repositioned below the eye to reduce puffiness and restore lost volume to any hollowed areas. Lax tissues can then be tightened to better support the lower lid, and any excess skin is removed before the incision is closed. Both upper and lower eyelid surgery can smooth creases, wrinkles, and fine lines. Depending upon the surgical plan, the procedure is performed under general or local anesthesia and can take 1-3 hours to complete. What Can I Expect in Eyelid Surgery Recovery? Common side effects of any major surgery include some swelling, soreness, and bruising. 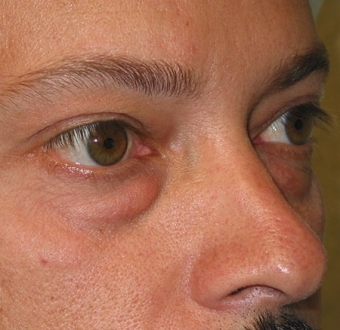 Eyelid surgery patients can expect these conditions to begin to resolve within a few days. Dr. Cohen recommends keeping the head elevated and using a cold compress to minimize swelling. Some patients also report that the eyes feel “tight” immediately following the procedure. Depending upon the patient, sutures can be removed 2-7 days after surgery. At this time, most patients return to work or their normal daily activities. Patients may still experience unusual tearing, light sensitivity, blurry vision, or double vision for a few weeks afterward, though these side effects should resolve once the healing process is complete. Until that time, patients should avoid any strenuous physical activity. As with any surgery, there are some risks to blepharoplasty, though Dr. Cohen carefully plans each procedure to minimize the possibility of post-operative complications. Potential risks include infection or a negative reaction to the anesthesia used during the procedure. Some patients may notice the eyes heal with slight differences in appearance. In rare cases, patients may experience difficulty closing their eyes before sleep. To further reduce the risk of complications, Dr. Cohen recommends blepharoplasty patients give up smoking several weeks prior to the date of surgery. Since each eyelid surgery is tailored to the unique needs of the individual, the price varies from patient to patient. Factors that can affect the total cost of eyelid surgery include which whether the upper and/or lower eyelids are operated upon as well as the complexity of the individual’s surgical plan. Patients who undergo upper eyelid surgery to correct obstructed vision may have a portion of the procedure covered by their health insurance provider. Although health insurance providers rarely cover eyelid surgery performed for cosmetic reasons, qualifying patients may take advantage of our plastic surgery financing options, which can offer low monthly payments with little to no interest.